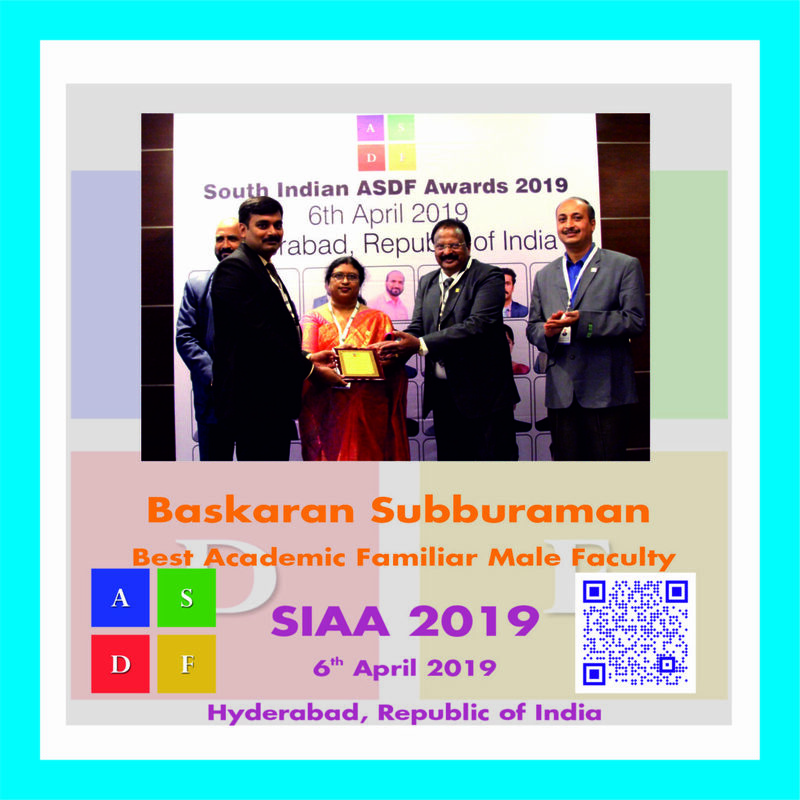 Baskaran Subburaman, received the Best Academic Familiar Male Faculty award from the most respected dignitaries of the 4th ASDF SIAA 2019. The 4th SIAA 2019 happened at Fortune Park Vallabha, Hyderabad, Telangana, Republic of India on 6th April, 2019. This year we had almost 6348 applications from which 24 were selected in various categories and various metrics.